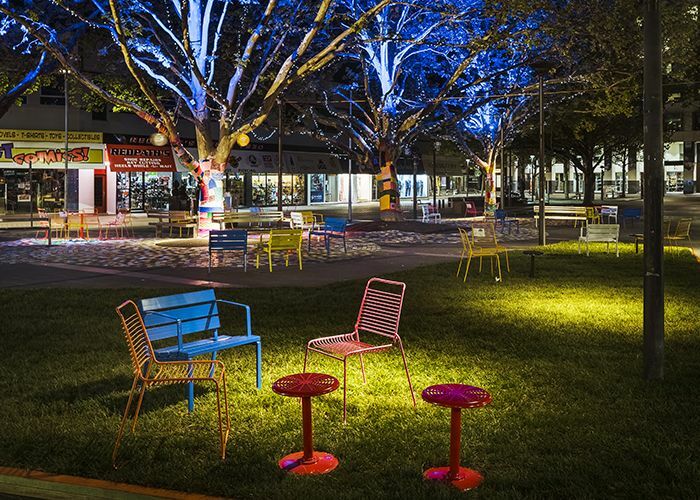 Lighting and colour make #BackyardExperiment feel safe at night. Photo: Jackie Chan, WE-EF LIGHTING. #BackyardExperiment at Garema Place. Photo: Randal Photography. #BackyardExperiment at Garema Place. Photo: Micah Osis. 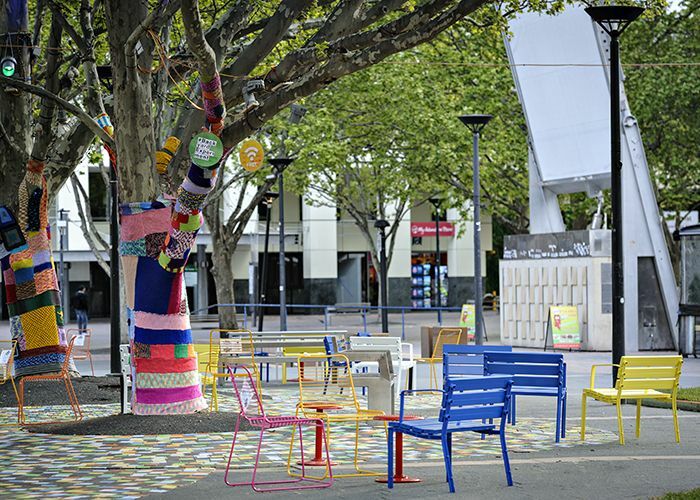 Forum Seat and Cafe Stool in #BackyardExperiment at Garema Place. Photo: Randal Photography. 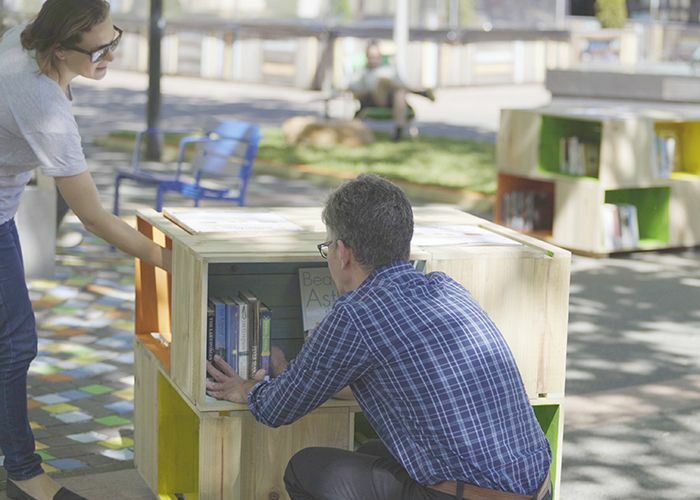 Pop-up library at Garema Place for #BackyardExperiment. Photo: Micah Osis. Forum Seat and Cafe Stools on the grass by Lawn Solutions. Photo: Jackie Chan, WE-EF LIGHTING. 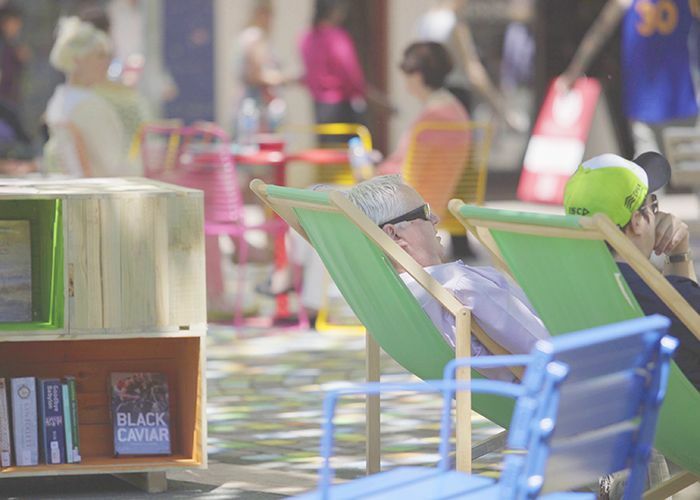 A pop-up park featuring 60 movable seats, colour, living lawn, library and lighting almost doubled visitors to Garema Place in just eight days. 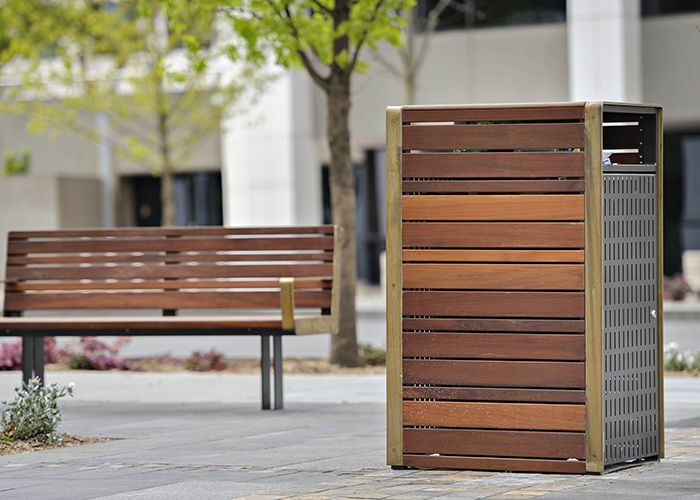 Street Furniture Australia partnered with AILA, the ACT Government and many suppliers and community volunteer groups to activate the underused grey, open space in Canberra. 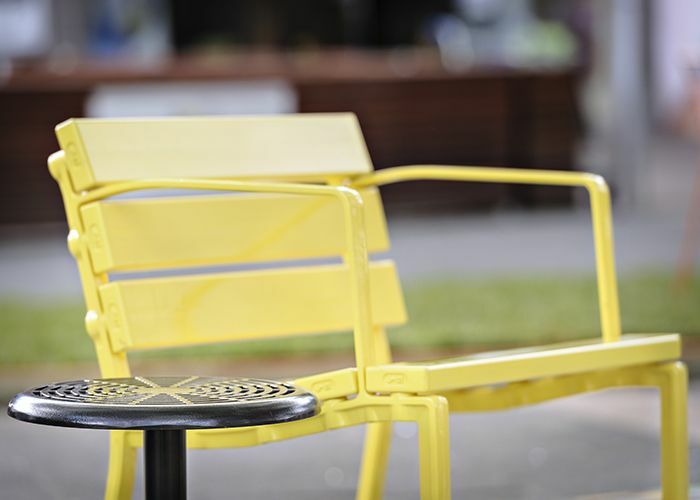 The park was designed by Context and features movable Forum Seats, Cafe Tables and Stools in bright powder coat colours. An additional 30 lightweight wire seats from a popular retailer were painted and added to the space. 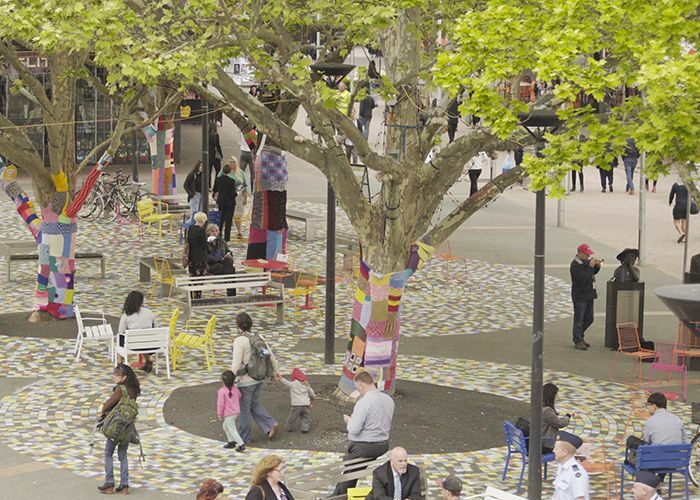 Time-lapse footage revealed a massive rise in the number of people visiting Garema Place and spending time in the pop-up park. 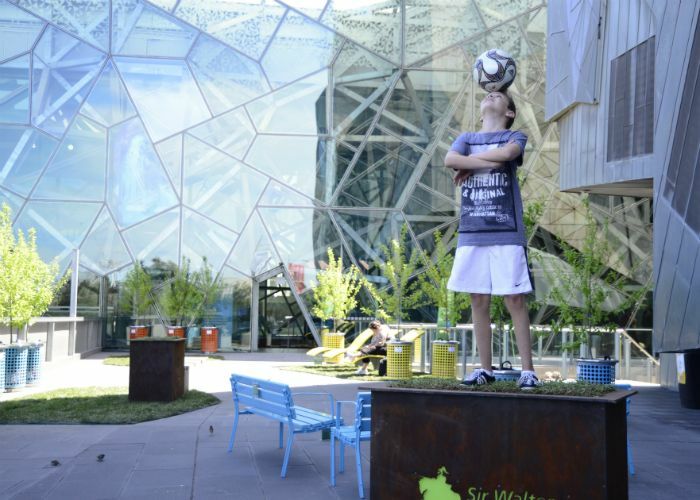 Visitors grew by 190%, dwellers by more than 240%, and far more children, families, couples, seniors and social groups were counted – rising by up to 780%. 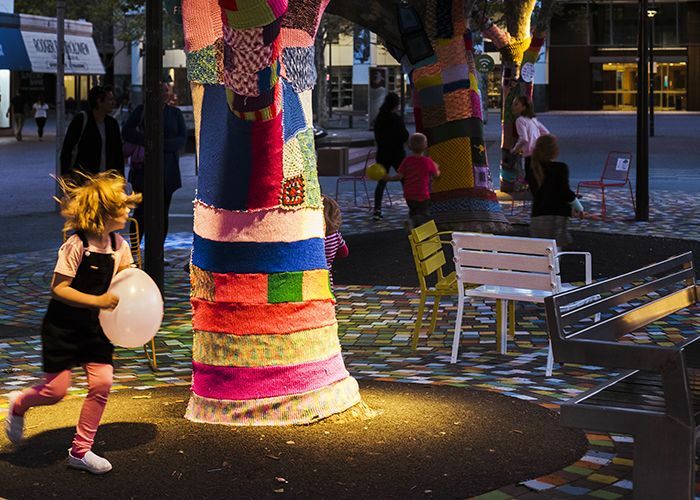 In a powerful study of placemaking and design thinking, #BackyardExperiment shows the dramatic impact of a small intervention. How many movable seats went missing? 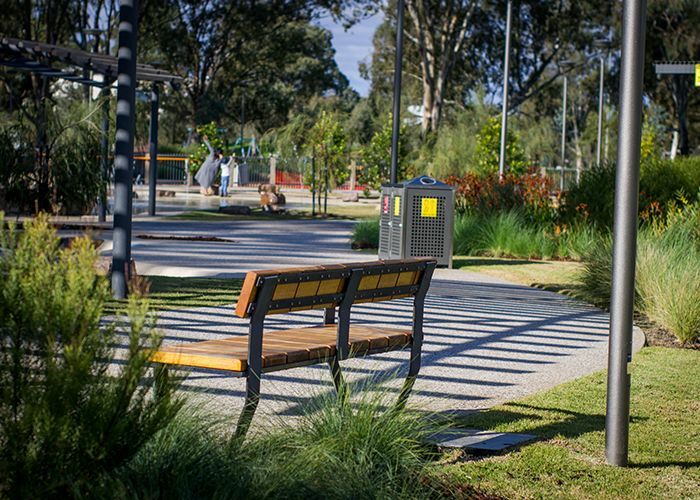 Watch the 10-minute documentary, and download the #BackyardExperiment White Paper for full results. 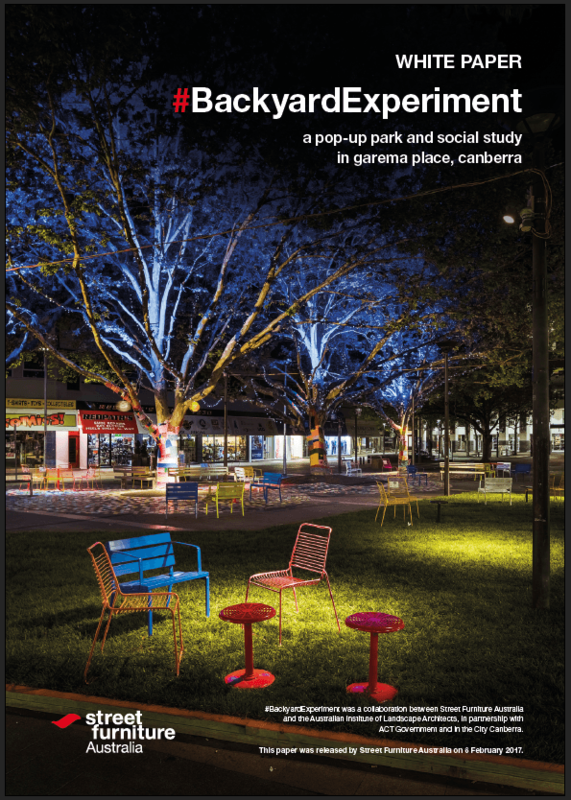 #BackyardExperiment was a collaboration between Street Furniture Australia and the Australian Institute of Landscape Architects, in partnership with ACT Government and In the City Canberra. “The impact is amazing for businesses in the area. I run King O’Malley’s Pub and I know quite a few of the shopkeepers here. It’s transformed it, people feel safe, they linger, they can have a cappuccino, buy a pair of shoes and just be in the space and it’s uplifting. The shopkeepers and owners can see there’s something positive happening. They can see there’s a change. It just lifts everyone’s spirits.” Peter Barcley, owner of King O’Malley’s pub.